The sudden blooming of Portland's cherry blossoms are always such a splendid sight to see. One day it still feels like winter, and then the next, all around the city hundreds of delicate, pastel pink blossoms sprout out to bring life and beauty to the city. 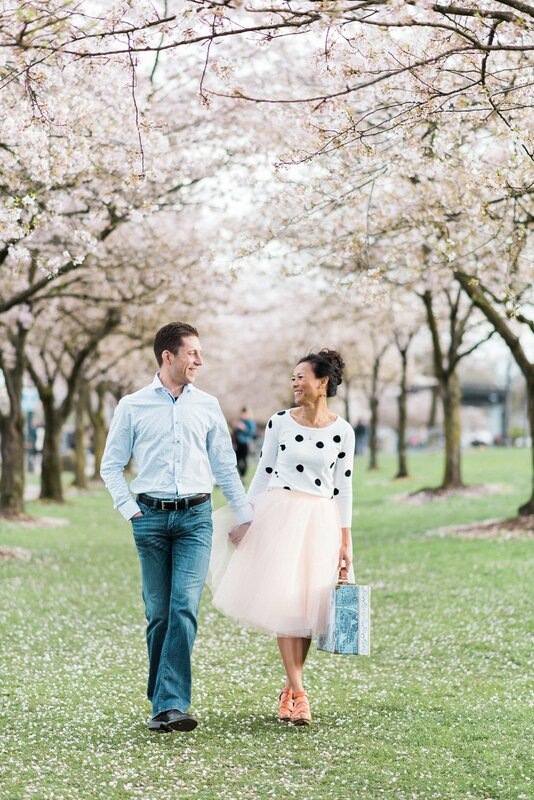 Sokhorn and Jay timed their engagement session with the blooming of the cherry blossoms along the Tom McCall Waterfront Park in Portland. 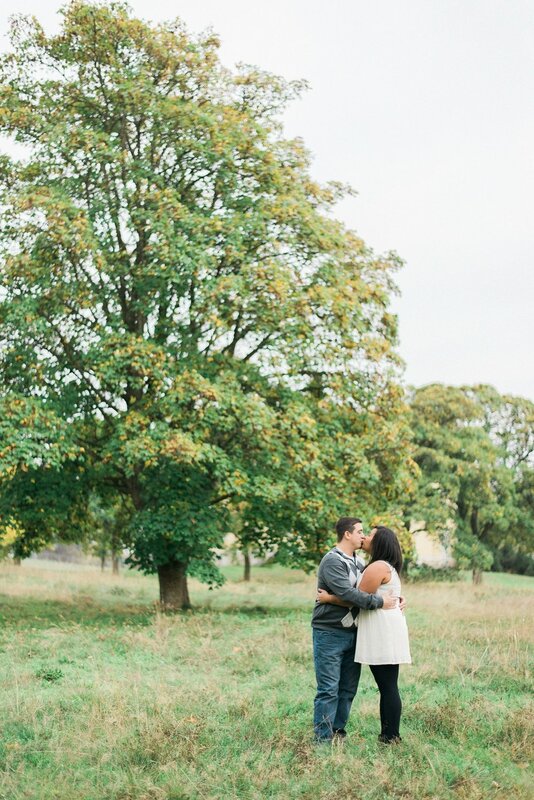 We started their session, beneath the soft petals that matched Sokhorn's pink tulle dress so well. 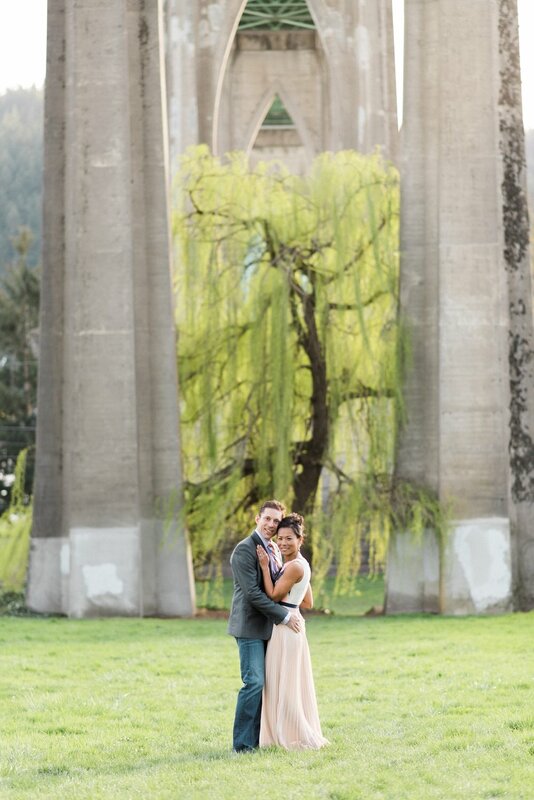 Then later on, we transitioned their session to Cathedral Park to capture some portraits underneath the St. John's Bridge and it's iconic weeping willow tree. 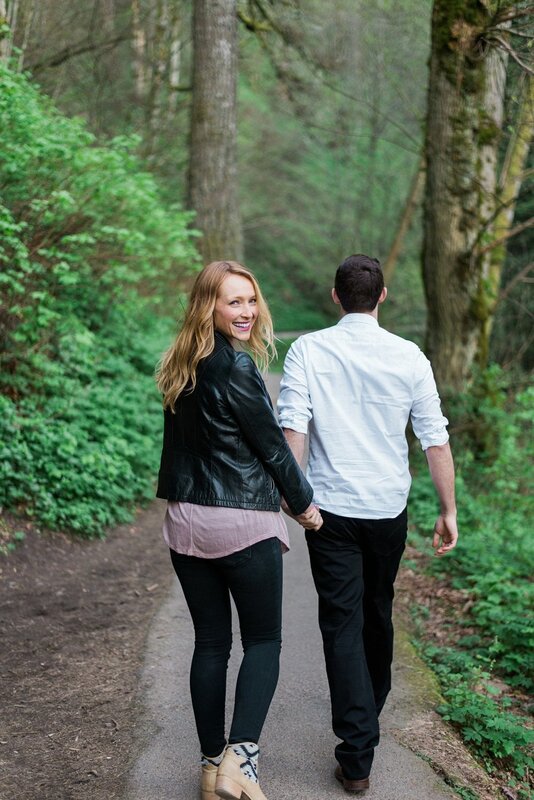 Engagement sessions like this remind me why I love living in Portland so much. 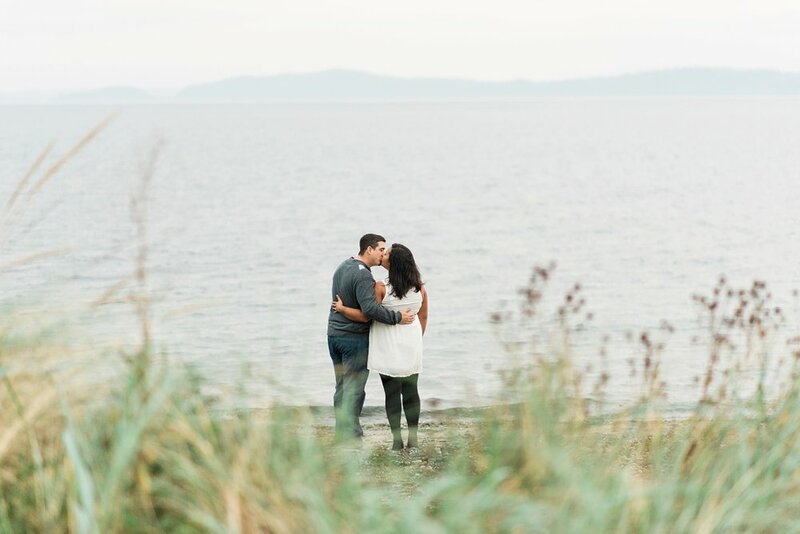 Such breath-taking natural beauty, and with a couple this sweet and in love, it's no wonder their photos turned out so stunning. 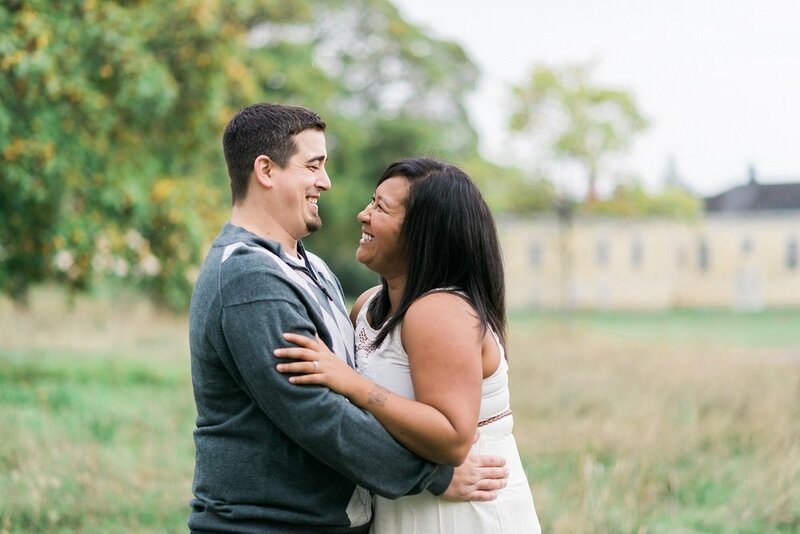 Tracey & Mike are like one of those too-adorable-to-be-real couples. They're sweet and kind, generous, loving to everyone they meet, and all-around beautiful people --- inside and out. Meeting them is like a comforting reminder that there are still wonderful people in this world, and it makes you thankful to have them as friends. 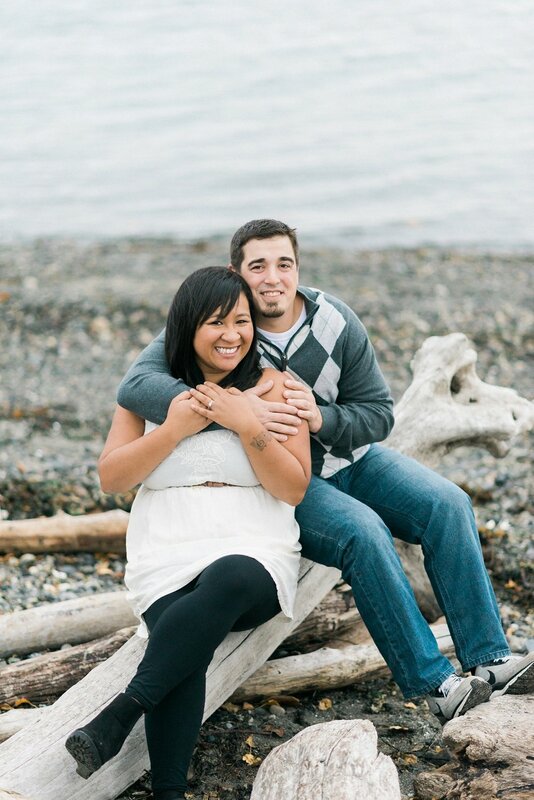 I first met Tracey when we were volunteering for a homeless outreach event in downtown Portland. Her bright and genuine smile was so welcoming it made me immediately want to be her friend. When she started dating Mike, we just knew that he was "the one." He is the perfect match to her kindness and generosity. And sure enough, after a while, Mike proposed --- and the rest is history. 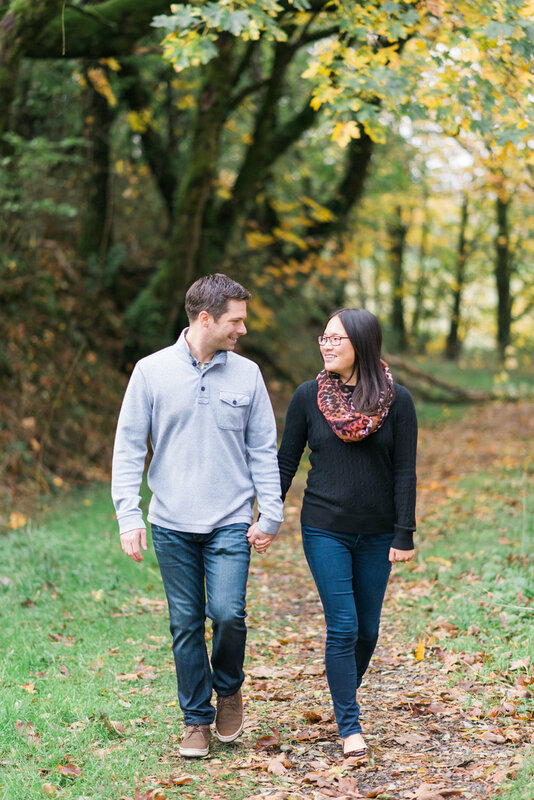 We took these two out to the Columbia River Gorge for some scenic engagement photos. The water was low and the greenery was lush. 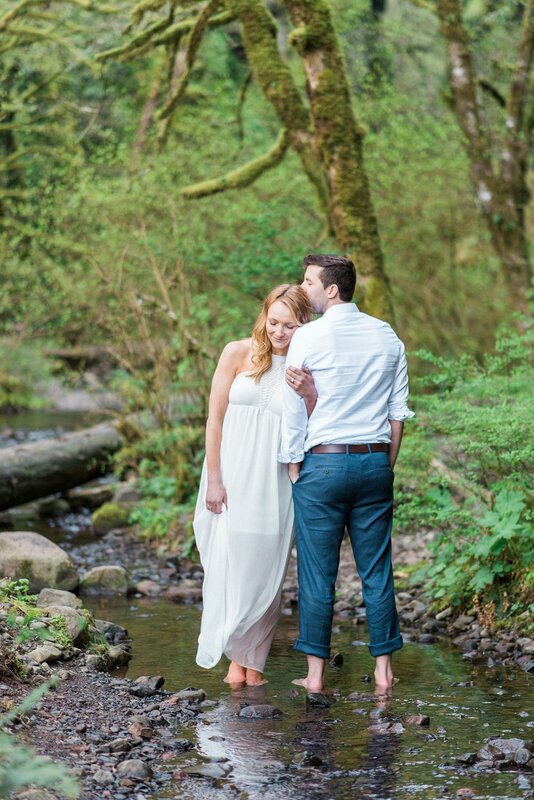 Tracy & Mike were daring enough to dip their toes in the water, which made for some gorgeous river-side portraits. 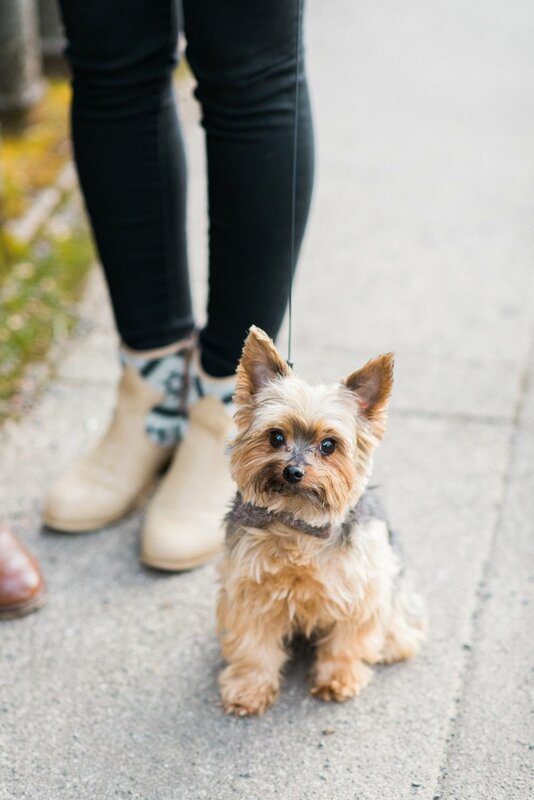 They even brought along their sweet little dog, Bennett, to pose for some photos too. 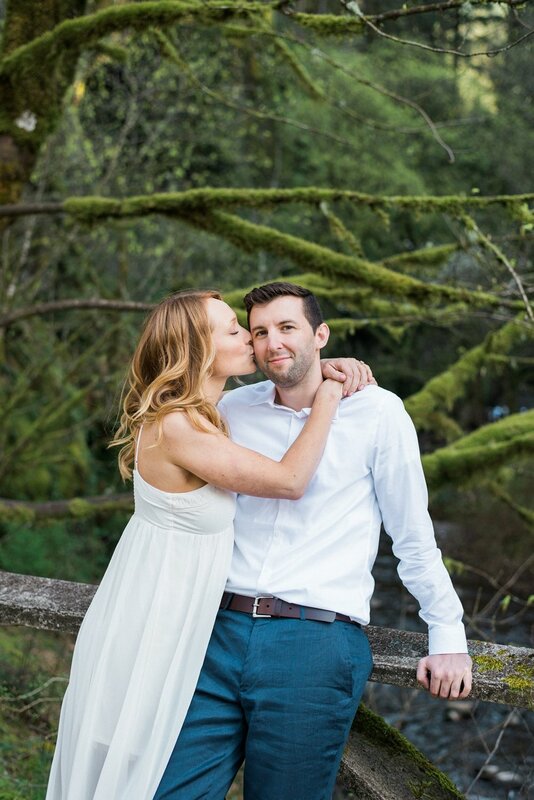 These two were meant to be, and we are so happy that they found each other. Mirsa is a long time friend. But for my husband, Joe, their friendship goes back even farther. 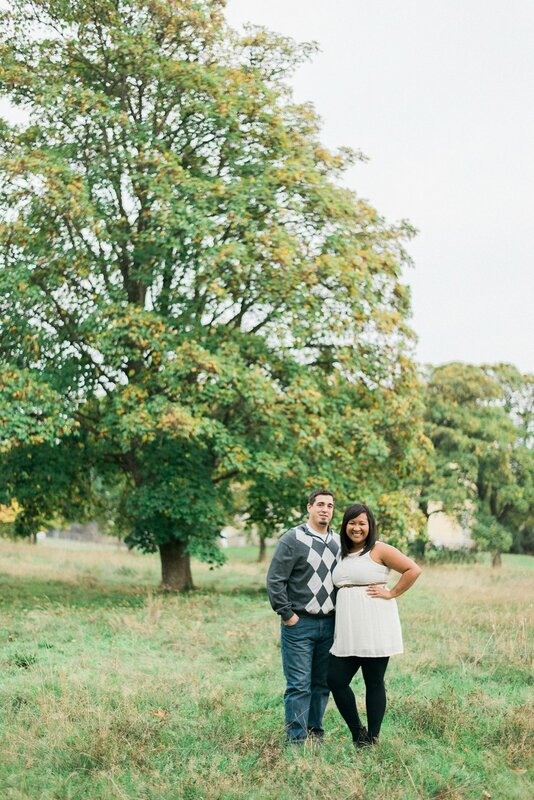 Mirsa and Joe were neighbors back in college, when Joe and I were first dating. They did everything together. Went grocery shopping together, cooked handmade egg rolls together, watched the movie Elf (way. too. many. times!) together. They were both attending school on the opposite side of the country from their own families, so a special bond formed, and suddenly they were each other's family. A group of us, consisting largely of Joe, Mirsa & their surrounding neighbors, were all constantly hanging out together. Needless to say, Mirsa quickly became a close friend. 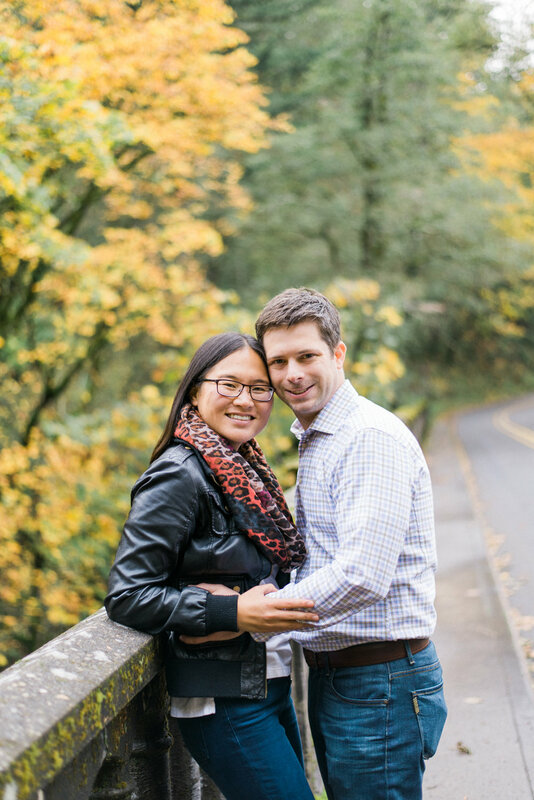 Fast forward to today, after graduation Mirsa moved back to her home in Seattle, Washington and found the guy of her dreams, Jeff. 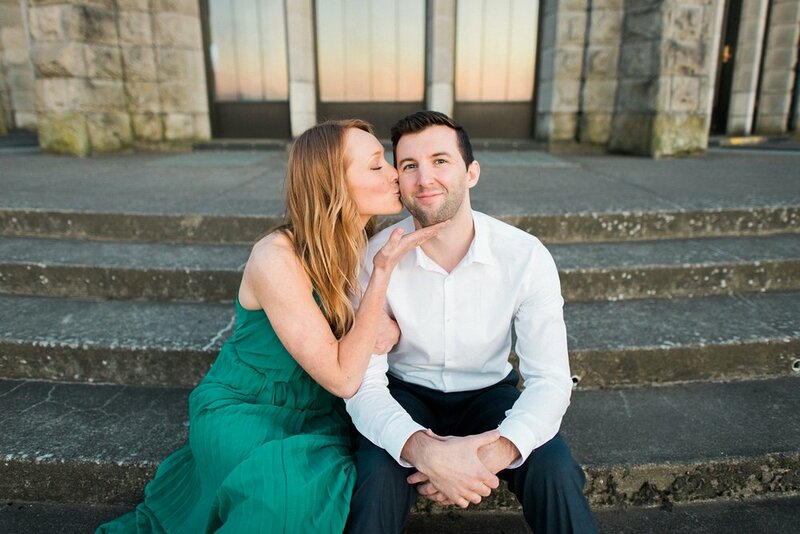 He asked her to marry him, and we couldn't be happier for them both. 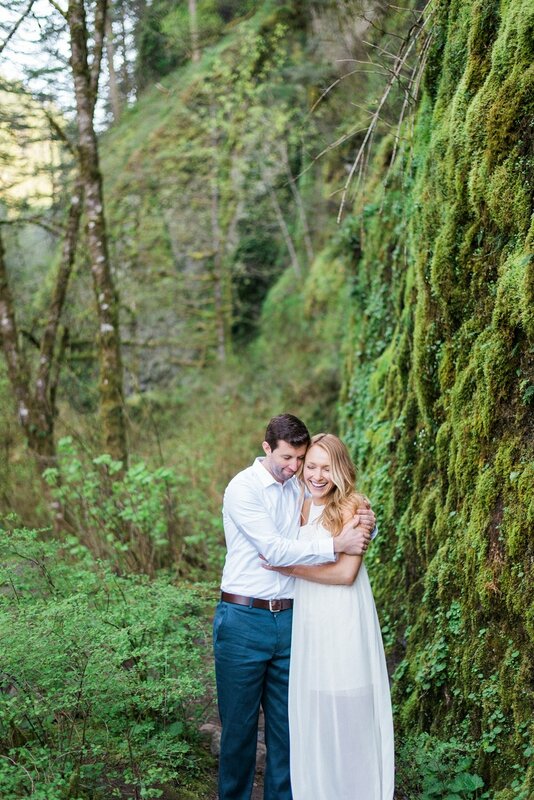 Susan and Josh picked the Columbia River Gorge for their engagement session; one of my absolute favorite spots for photography anytime of the year. 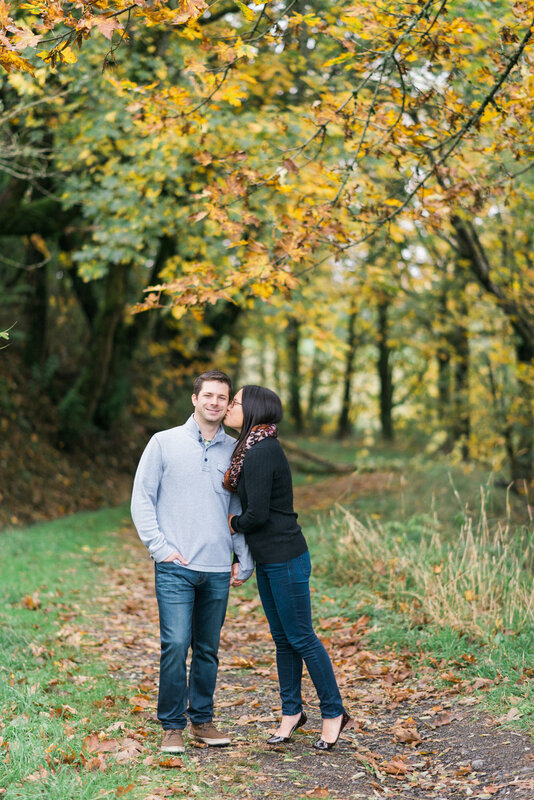 But this session was extra special since we got the added bonus of gorgeous fall colors everywhere we looked. 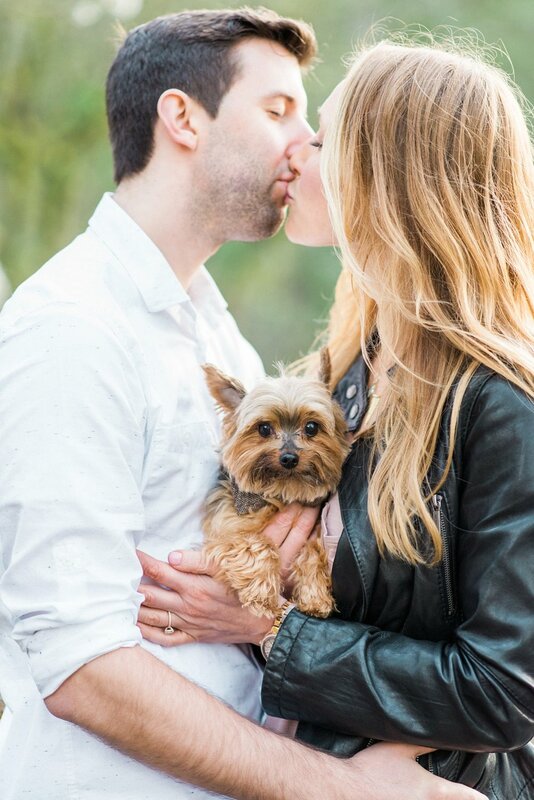 Susan and Josh brought along their favorite pup, Penny (she even made it in a photo or two!) 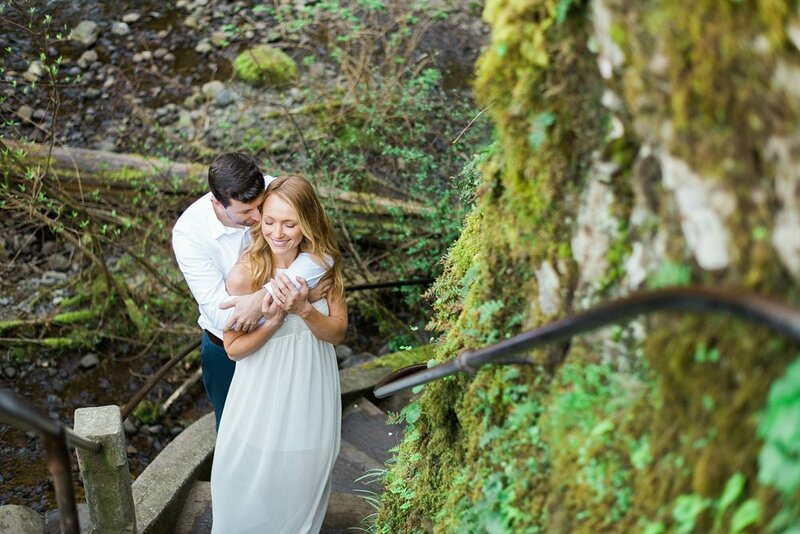 and we ventured along the Historic Columbia River Highway to find some unique spots off the beaten path. Of course, we couldn't help ending at Crown Point for some lookout shots with the gorge in the background. 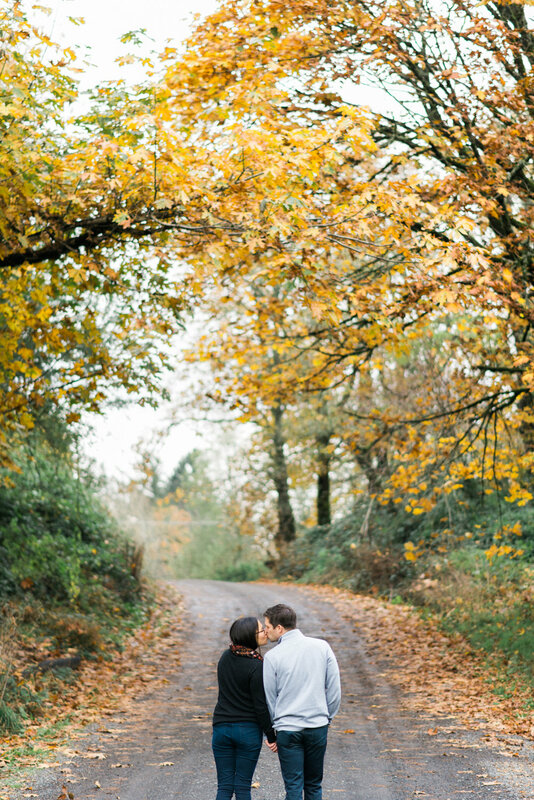 Growing up in Florida, where Fall colors were practically a mythical legend, I had never really experienced a true Autumn until I moved to Portland. I look forward to fall colors every year now, but it still always catches my breath when it arrives in all it's vibrant beauty. 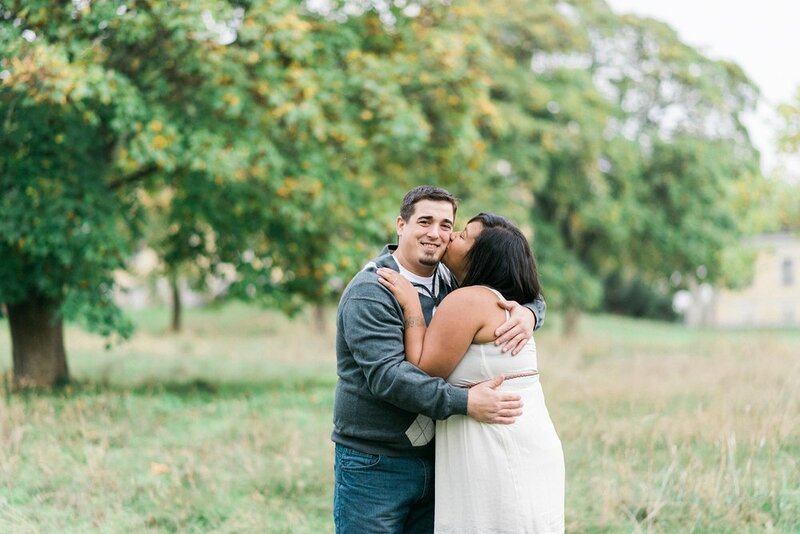 I'm so glad we were able to capture some of it for Susan & Josh's engagement session.